Your opinion matters. Leave your review of Kendall County PADS. Description: Kendall County Public Action to Deliver Shelter (PADS) is dedicated to providing temporary, safe shelter and nourishing food to the men, women, and children within Kendall County who are homeless or in need. Do you have items to donate? 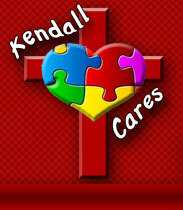 Contact Kendall County PADS at the phone number provided above to see if they can use any items you may have to donate.